Russian sources revealed that the Libyan army chief, General Khalifa Haftar has met with Russian Defence Minister, General Sergei Shoigu in Moscow to discuss the situation in Libya and the possibilities for military cooperation. According to a report covered by Kayhan newspaper, General Haftar also met on Monday with Russian Foreign Minister, Sergei Lavrov, and the Russian National Security Council chief, Nikolai Patrushev. 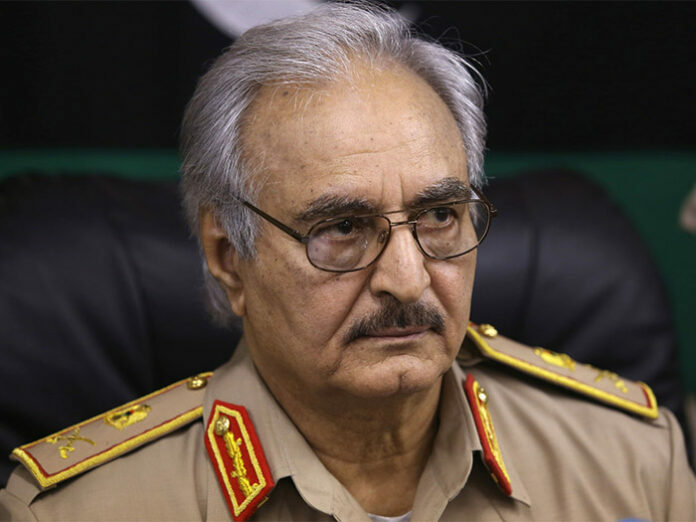 General Haftar arrived in Moscow on Sunday following an official invitation from Russia in order to strengthen relations between the two countries and discuss the current situation in Libya and common issues. Haftar visited Moscow earlier in June and met with the Russian defence minister and the Russian National Security Council chief, Middle East Monitor reported.